First came the Beatles, those Fab Four lads from England. Then came “Beatlemania,” the musical Broadway revue. Now, there’s the Cast of Beatlemania, a touring tribute band.The Cast is coming to the Ridgefield Playhouse on Saturday, Jan. 28, the theater has announced.“Get ready to dance to ‘I Want to Hold Your Hand,’ ‘I Saw Her Standing There,’ ‘Yesterday,’ ‘Twist & Shout,’ ‘Lucy in the Sky with Diamonds,’ ‘Penny Lane’ and ‘With a Little Help from My Friends,’ to name a few — re-creating every era of the Beatles’ career with costumes and music,” theater folk said.According to the playhouse, the group is “one of the longest running Beatles’ tribute bands in the world,” featuring Lenie Colacino, a former cast member of the 1977 Broadway show “Beatlemania,” as Paul McCartney. 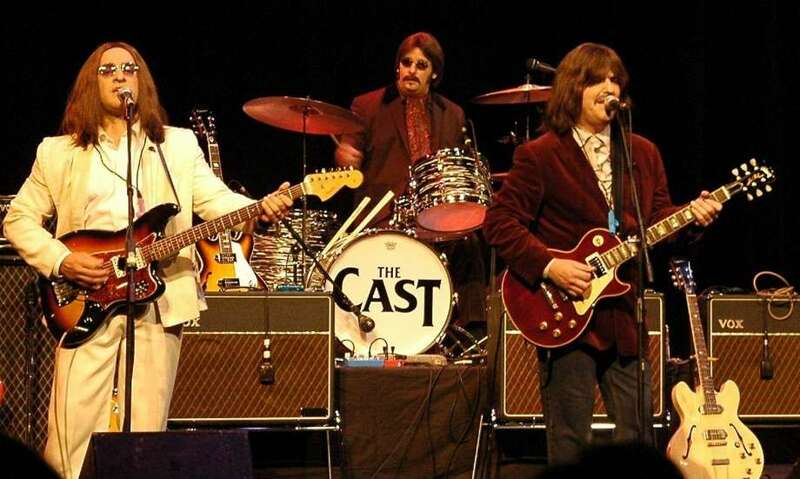 Also starring are Jim Filgate as George Harrison, Carlo Cantamessa as John Lennon, John Delgado as Ringo Starr and Mark Templeton, who does orchestrations and keyboards.“They look like the Beatles. They sound like the Beatles and copy the characters perfectly,” according to the theater.